Pop-up theatres and the history of car parks…. Am I alone in thinking that in this instance, “pop up” describes the Rose Theatre in York well? The Rose resembles something that pops up in a children’s book. However, this article is actually more about the history of car parks, which is very interesting. The one below is in Detroit, and is quite astonishing! Can’t imagine funds stretching to such glories in the UK. Richard and the invisible snake….? I must have read about this before, but it feels new somehow. Supposedly, the man in blue (see below) is Richard of Gloucester/Richard III. The illustration is part of the Coventry Tapestry, which is housed in St Mary’s Guild Hall, and which is still in the place for which it was created. I wasn’t sure if the kneeling king on the bottom left was EIV or HVII (the latter didn’t seem likely, as the figure is alive, and Richard certainly wasn’t when Henry became king). “A figure depicted in the magnificent 500 year old tapestry at St. Mary’s Guildhall could well be one of the earliest depictions of King Richard III, whose remains, discovered in 2012 beneath a Leicester car park, were recently confirmed as those of the controversial English monarch. “The tapestry’s highly detailed design includes seventy five individual characters, including angels, saints, apostles, and noble members of a royal court, arranged around a central image of the Virgin Mary. 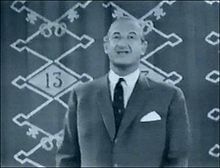 Whilst no contemporary records exist as to the exact identity of many of the characters, certain clues have been observed that strongly suggest that Richard is amongst them. “Firstly, the figure is shown carrying a coin ¹ in his right hand, used elsewhere in art of the time to represent a ‘Judas’ character with a history of treachery for personal gain, whilst in his left hand the figure was originally depicted holding a snake ² – another emblem of evil and deviousness – which at a later date was removed leaving a distinctive outline. 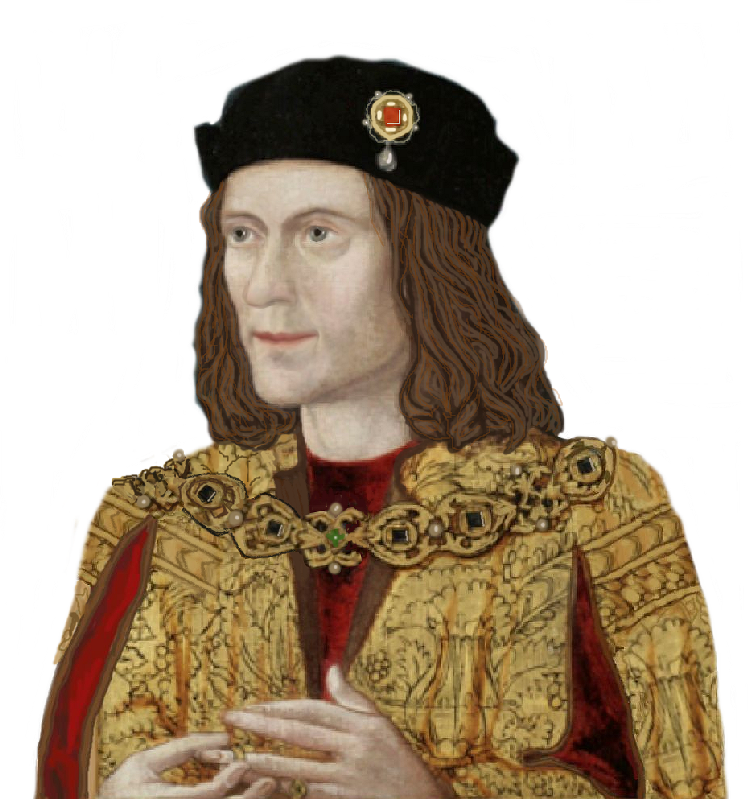 “By way of further evidence, the figure bears a striking resemblance to two of the earliest, and most trusted, portraits of King Richard III in the collection of the Royal Society of Antiquaries, from eye colour and hair curls, right down to slightly deformed hands and misshapen shoulders ³. Intriguingly, it has been proposed that one of these portraits was painted by Sir Thomas More, who may have been familiar with the tapestry as he came to Coventry on several occasions to visit his sister who lived in the city. “Whilst Richard III had died a few years before the dating of the tapestry, it is thought that the tapestry depicts an earlier period, that of King Henry VI – who is also shown on the tapestry – when Richard was Richard of Gloucester. Henry VI was revered for many years after his death, with miracles even recorded in his name, and he was fondly remembered in Coventry where he chose to base himself and his royal court for a period during the Wars of the Roses. Under the new Tudor monarchy of Henry VII it was politically wise to maintain, and even encourage, adoration of the much-loved Henry VI. Moreover, showing such respect for the old Lancastrian King Henry, gave the Tudor monarch a chance to boost his image, tarnished by his weak claim to the throne and the manner in which he seized it from the Yorkist Richard III in battle. J D Wetherspoon’s The Last Plantagenet in Leicester…. The first J D Wetherspoon pub mentioned in this list of such hostelries in Leicester , is The Last Plantagenet. No prizes for guessing who that might be. 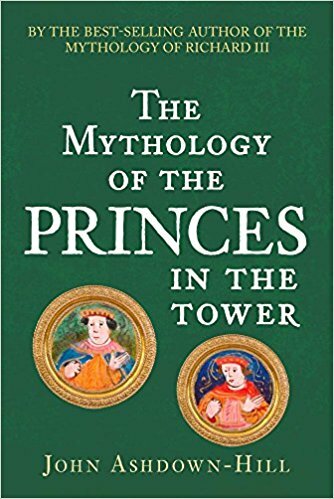 The writer treads a diplomatic line about the discovery of Richard’s remains, by saying: “…his burial site was finally uncovered by an archaeological project…” No names, no pack drill! My only quibble is that this site is one of the increasing number to have an initial video that, literally, starts shouting out of the screen. This time it was Star Wars. Not only that, however, but the controls to stop or silence it, are either useless or deliberately switch back on again, uninvited. It’s intrusive, aggressive and not acceptable. It also has the opposite effect on me from the one intended, in that it infuriates me! I shouldn’t have to shut ALL sound off simply to silence these pests. I hope that by the time this post is being read, the offending video will no longer be in place! Doncaster Heritage Festival 2018, and Philippa Langley…. Philippa Langley will be giving a talk at this year’s Doncaster Heritage Festival. 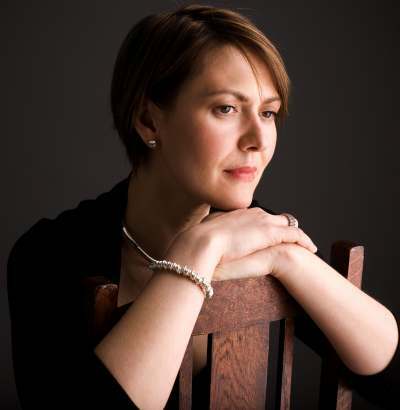 “…Writer and producer Philippa Langley MBE will be delivering this year’s David Hey Memorial Lecture – The Looking for Richard Project. In 2012, Philippa led the successful search to locate the grave of King Richard III through the Looking For Richard Project. Philippa conceived, facilitated and commissioned this unique historical investigation. 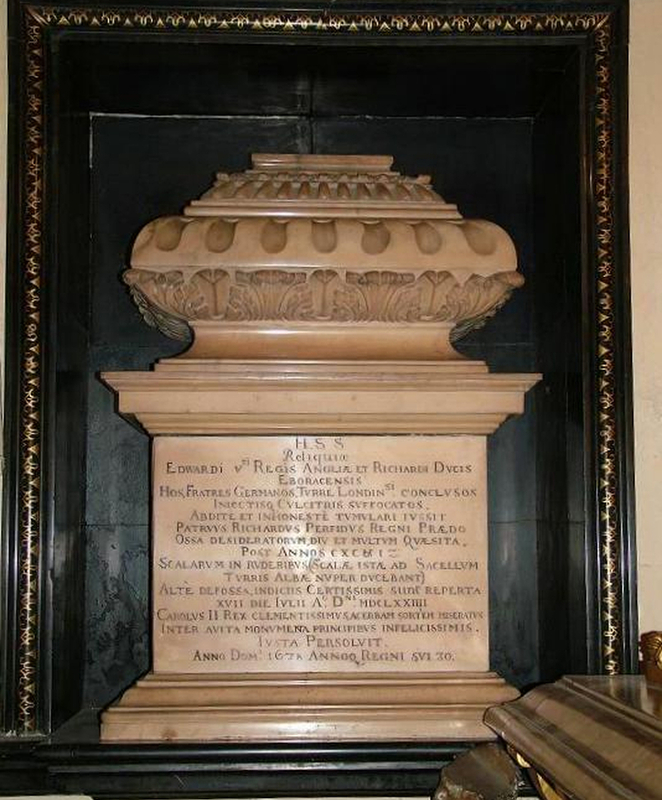 Cutting Crime: The Role of Forensic Engineering Science – including the undoubted crimes perpetrated upon Richard III…. Neither should we forget Henry I’s Queen, Edith (Matilda) of Scotland, who reintroduced Anglo-Saxon royal (Wessex) blood to the English monarchy.